Liam Fray remembers Christmas past in Middleton in this fine festive treat. 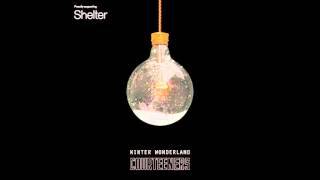 The Courteeners have released a Christmas single. The Middleton will donate all profits from Winter Wonderland to the homeless charity Shelter. If that wasn't festive enough, the Not Nineteen Forever fourpiece are featuring the single on a new deluxe version of their 2014 album, Concrete Love. Concrete Love - Extra Love features the original eleven track LP with a nine-track bonus disc.